Find out what financial aid or student loan recipients need to know about withdrawal at UC San Diego. If you're a financial aid recipient, contact the Financial Aid and Scholarships Office before withdrawing to determine how it might affect your financial aid awards. You apply for a leave of absence. You're dismissed from UC San Diego. You haven't officially withdrawn but don't receive credit for at least one of your courses. If you withdraw before 60% of the quarter has been completed, you will not have earned all of your financial aid, and you must return any excess funds. The exact amount of assistance you've earned is determined by a specific formula and calculated on a pro-rated basis; ask the Financial Aid and Scholarships Office for details. If you're eligible for a fee or housing refund due to your withdrawal, all or part of the refund will be used to repay financial aid before it's released to you. You may owe additional amounts as well, which you must repay. Withdrawal may affect your Satisfactory Academic Progress status for financial aid eligibility if you decide to return. Read the Satisfactory Academic Progress Standards for Financial Aid Eligibility for undergraduates and graduate students (PDF). If you're a loan recipient, you must complete online exit loan counseling. You can also contact Student Financial Solutions (SFS) for advice on your loan repayment obligations, rights, and responsibilities. Read more about Repaying Your Student Loan. See other considerations before withdrawing for undergraduates or graduate students. Got questions? 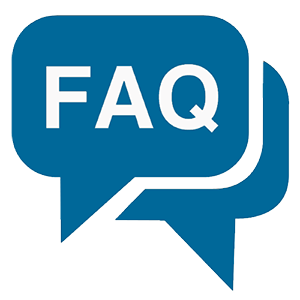 Use this resource to find answers to all your frequently asked questions.